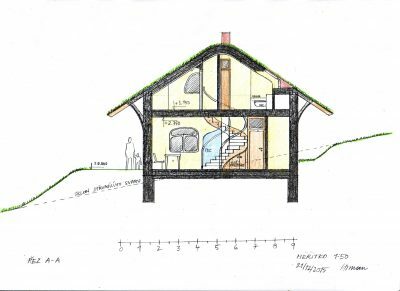 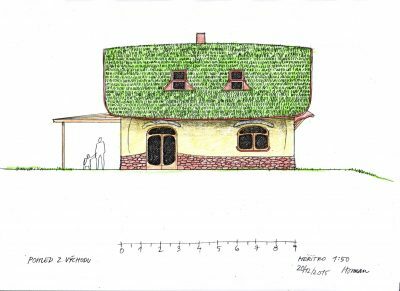 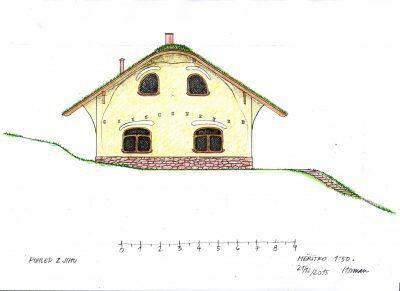 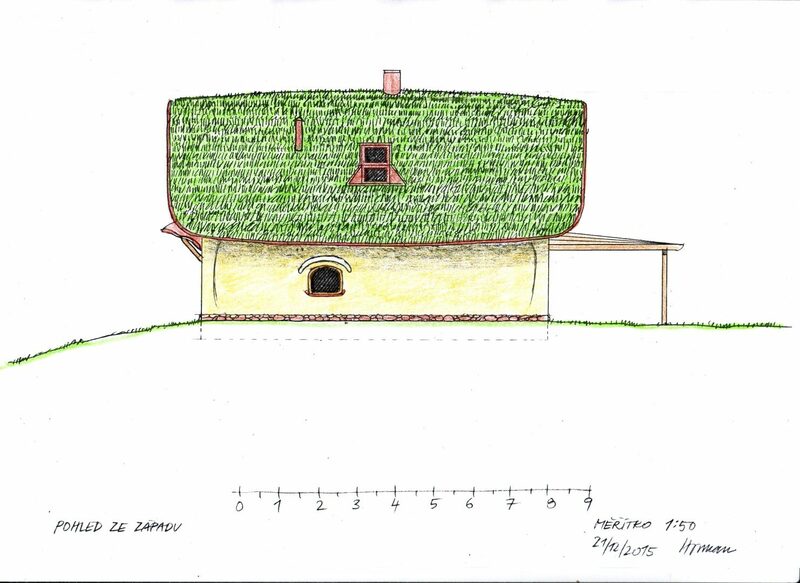 Project of low-energy family house from healthy natural materials. 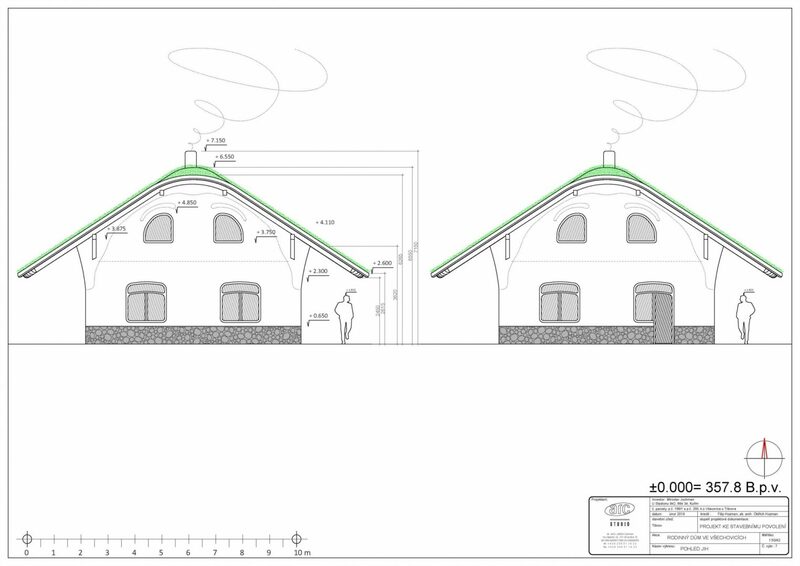 The peripheral walls are built of thermal-insulation bricks. 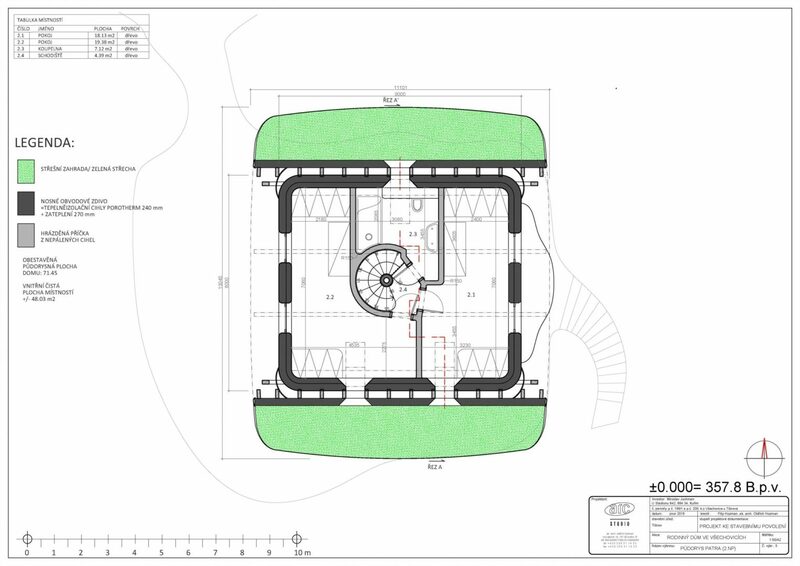 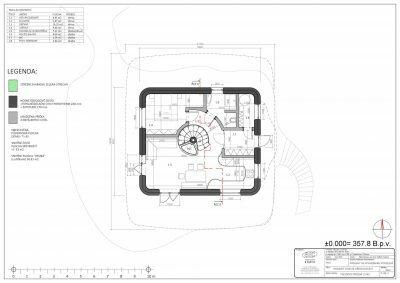 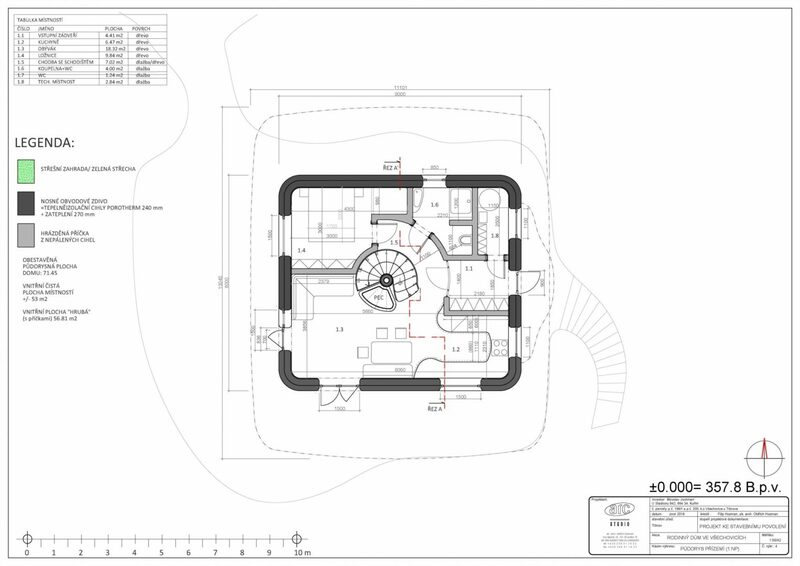 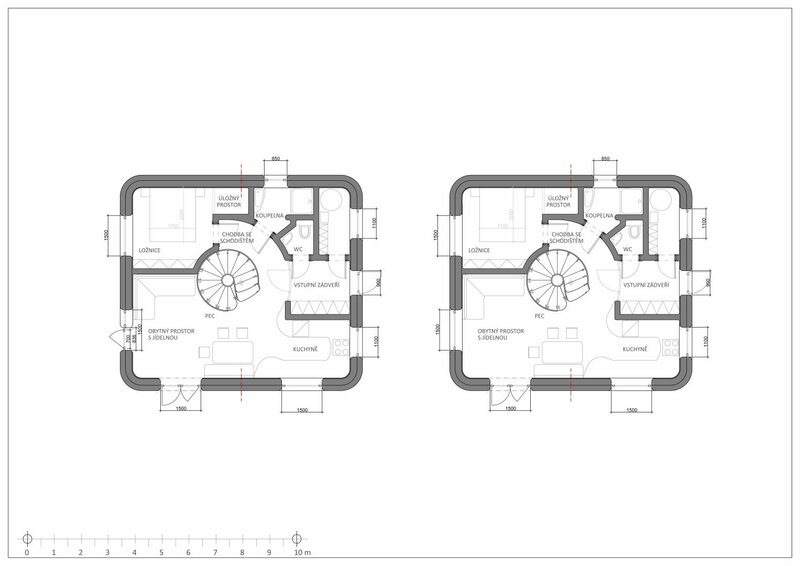 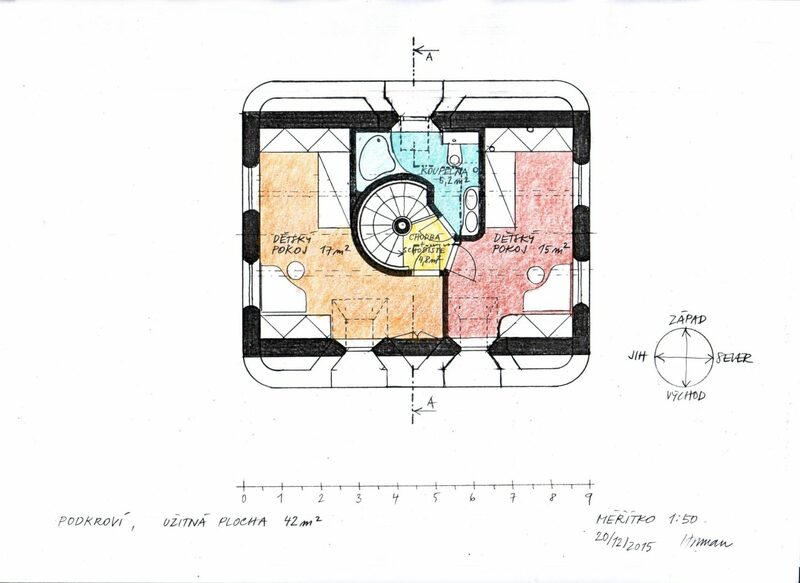 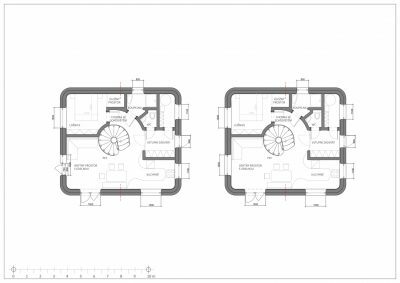 The floor plan of the house is 8 x 9m. 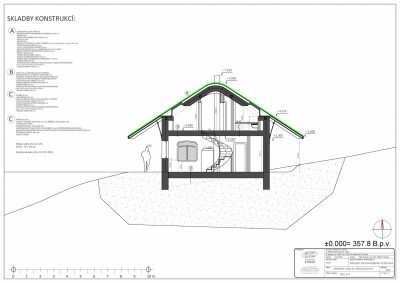 The house has a wooden beam construction of ceilings and floors, interior dividing walls and roofs. The natural geomagnetic field of the Earth can therefore healthily penetrate the house. 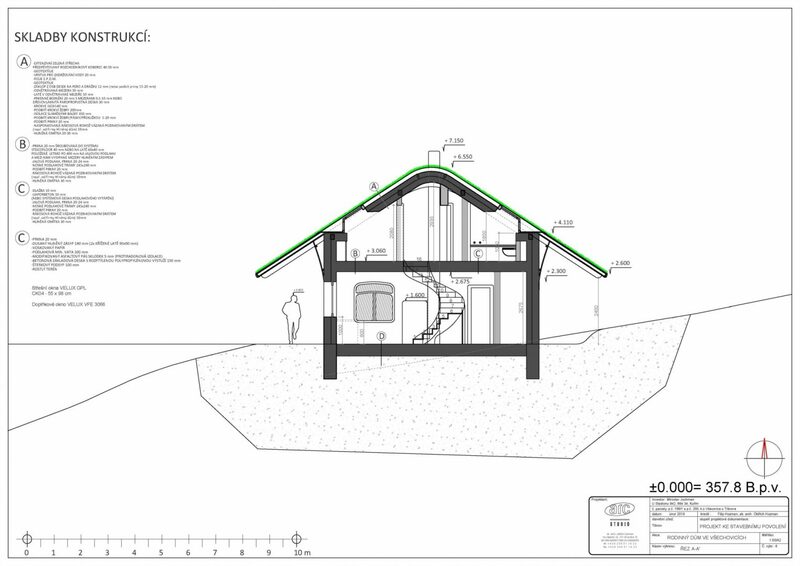 The house is insulated with 20 cm mineral wool insulation. 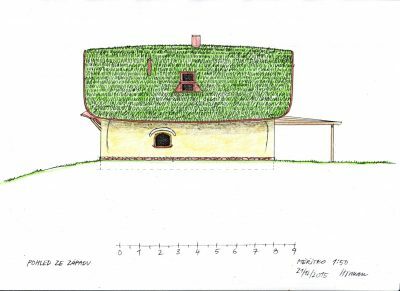 The walls are permeable, diffusely open. 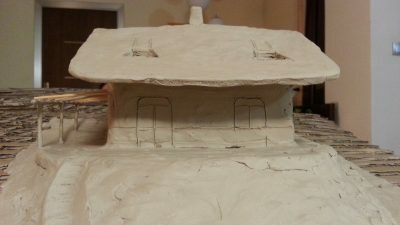 All plasters are clay. 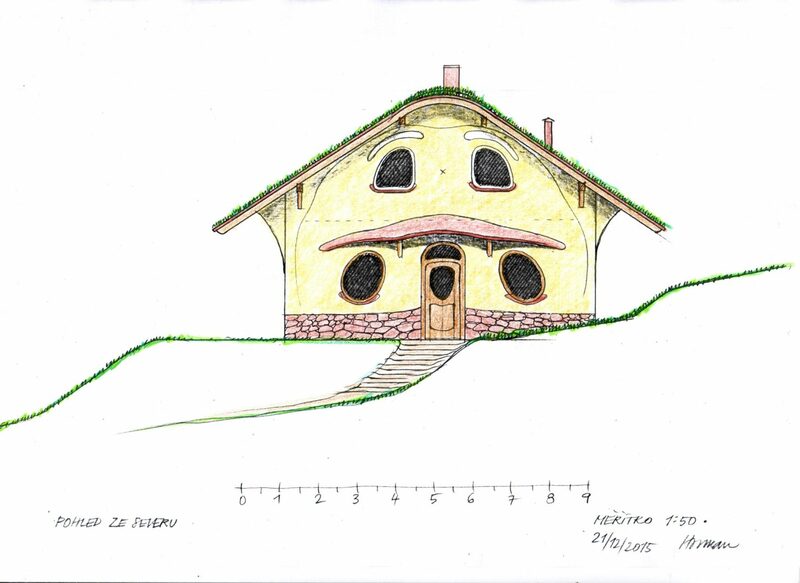 The house is additionally heated by a wood-burning oven. 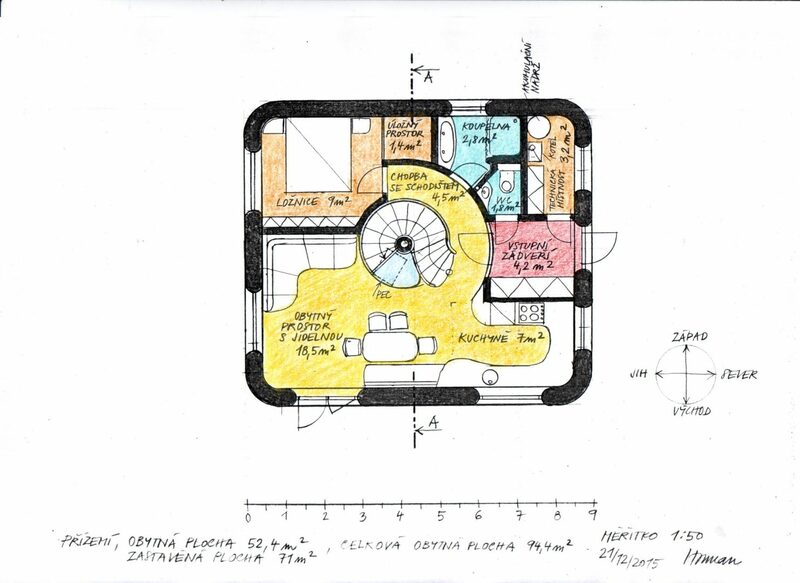 The construction concept includes principles of feng shui. 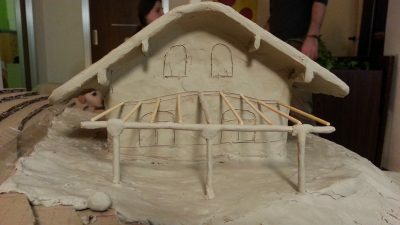 Based on the consideration of the number of rooms and their orientation to the cardinal, we started to build a model house. 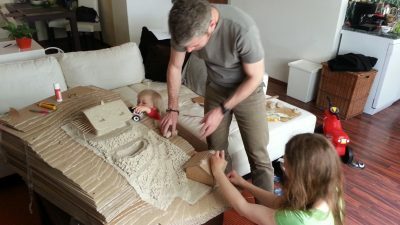 The method of working together allows the design process to bring not only the forces of thinking, but also the strength of feeling and will. 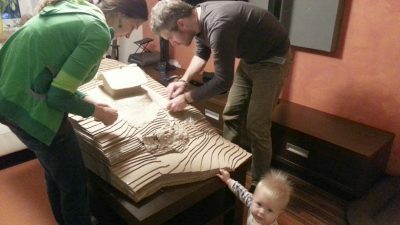 Each family member brings liveliness and joy into the process of creating the model, feeling the context and building on the work of others. 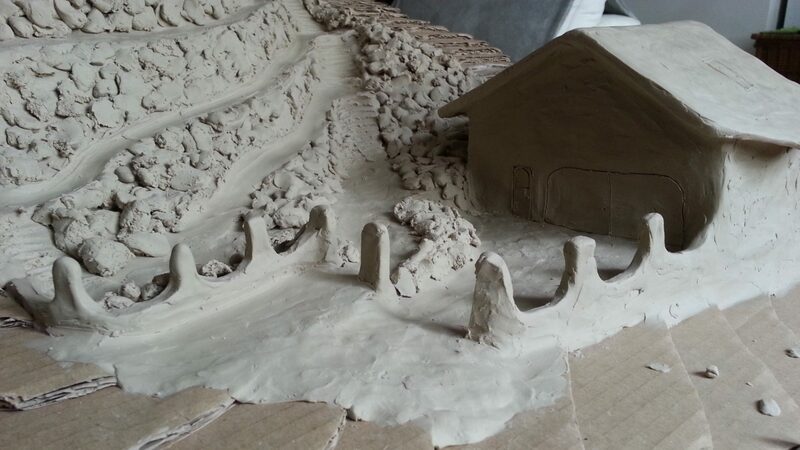 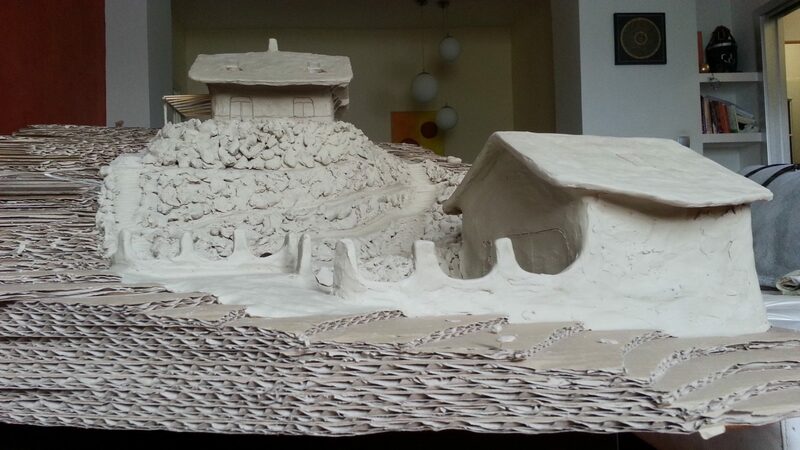 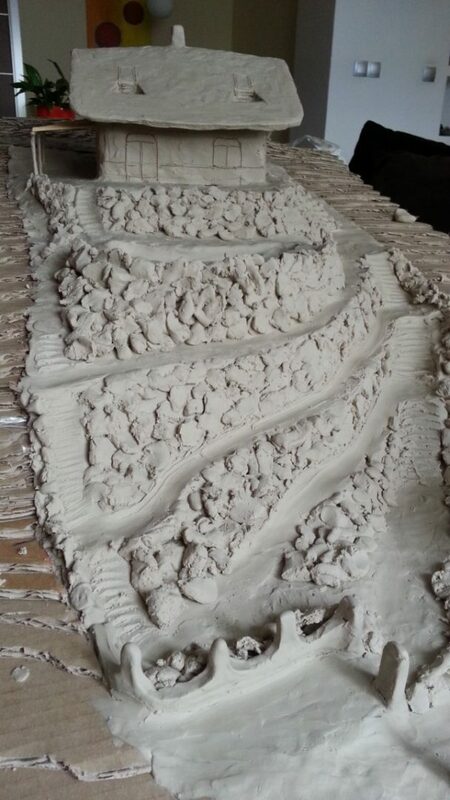 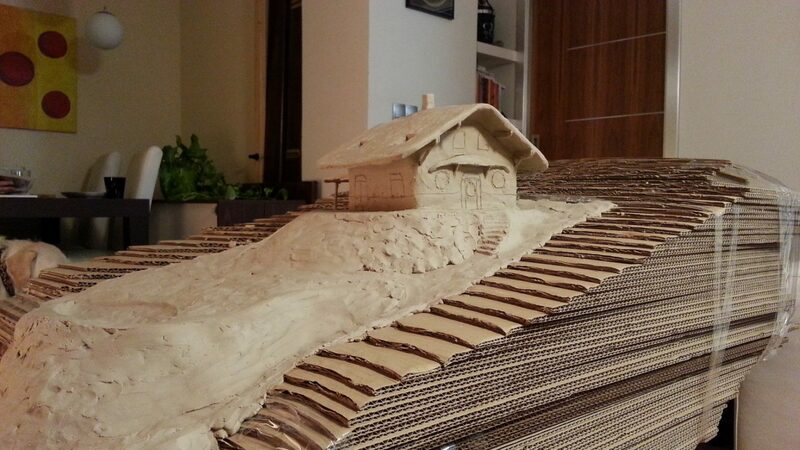 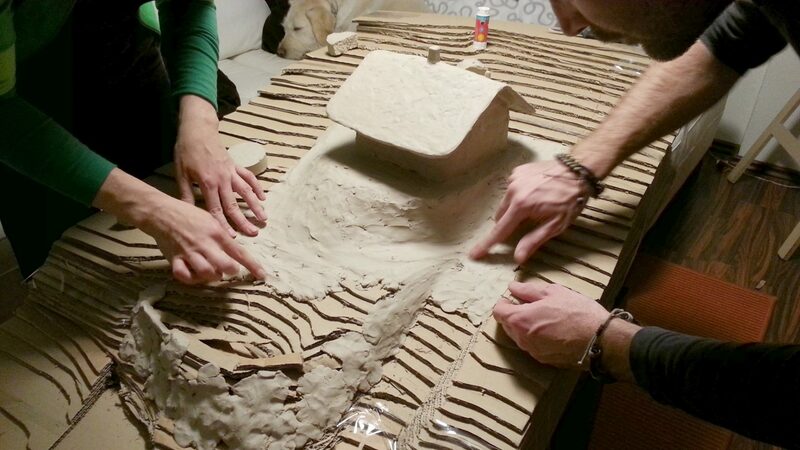 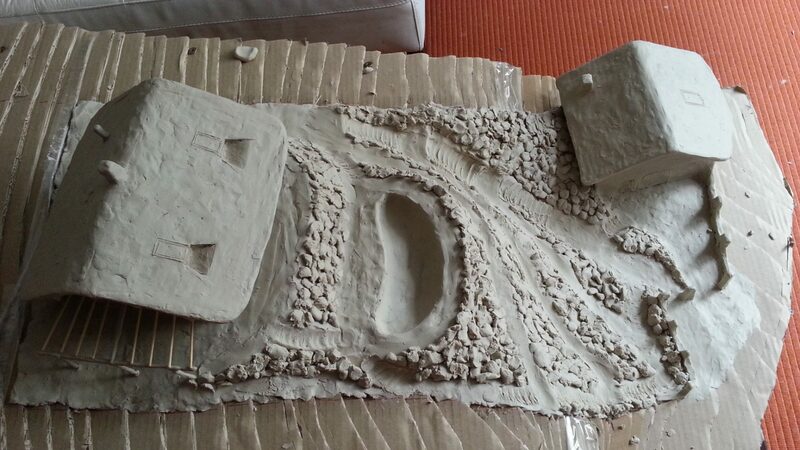 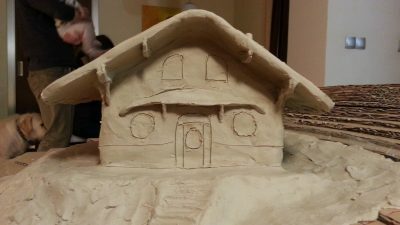 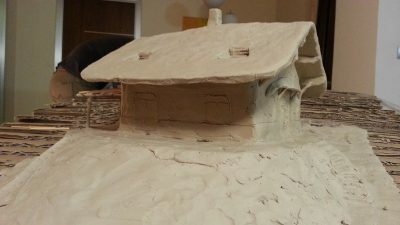 It gradually results in mutual agreement about the creation of the house.All participants are able to mentally connect with the emerging design in a better way.Working with clay during the modelling creates certain calm and concentrated mood. It also attracts the attention of children, who perceive the force of inspiration that enters the process of joint work. 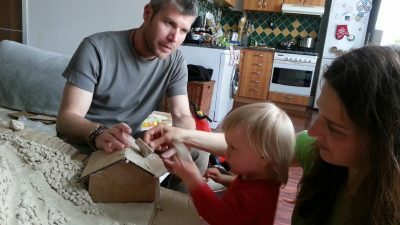 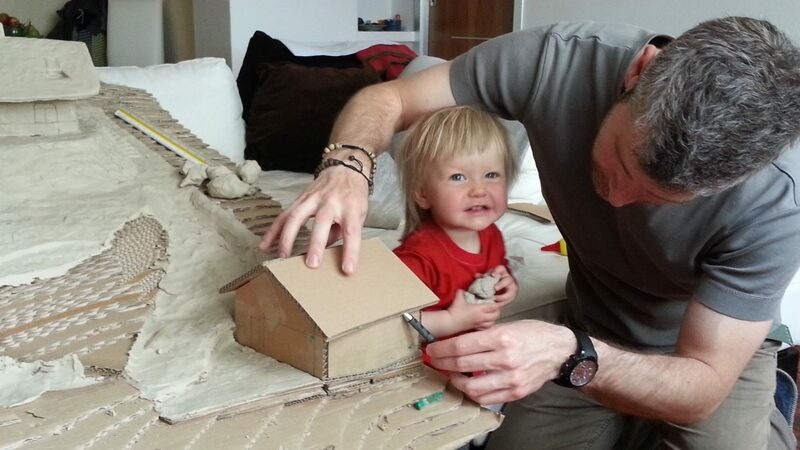 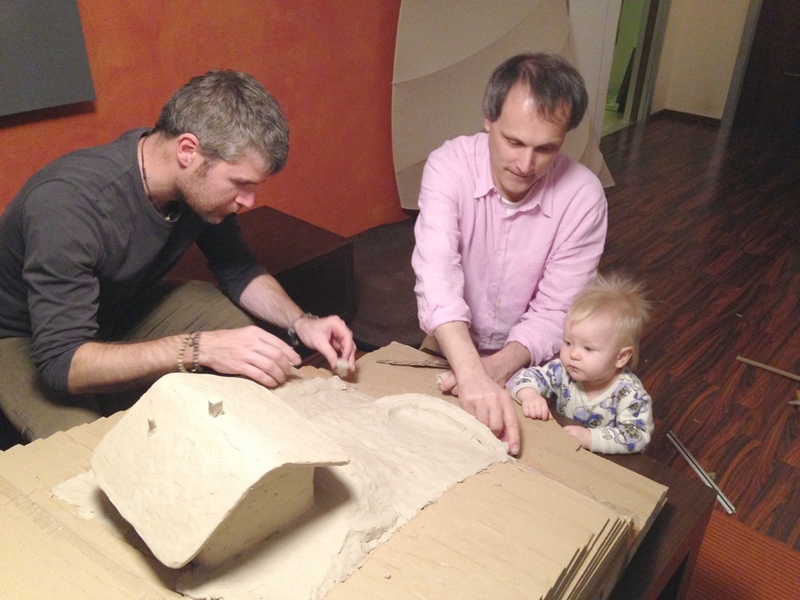 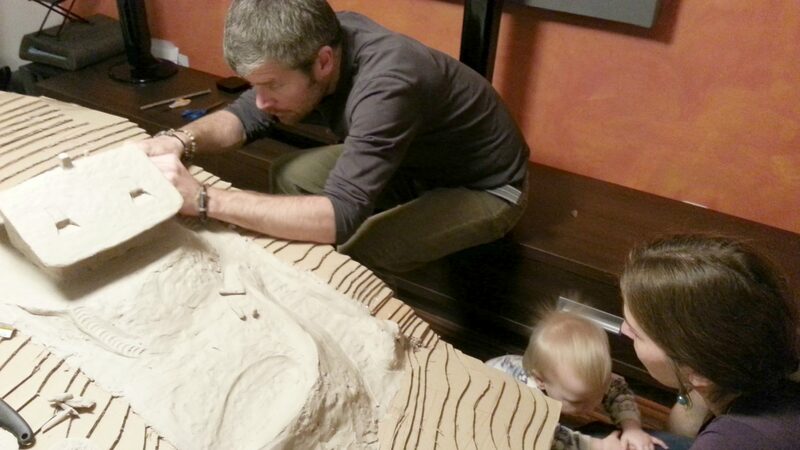 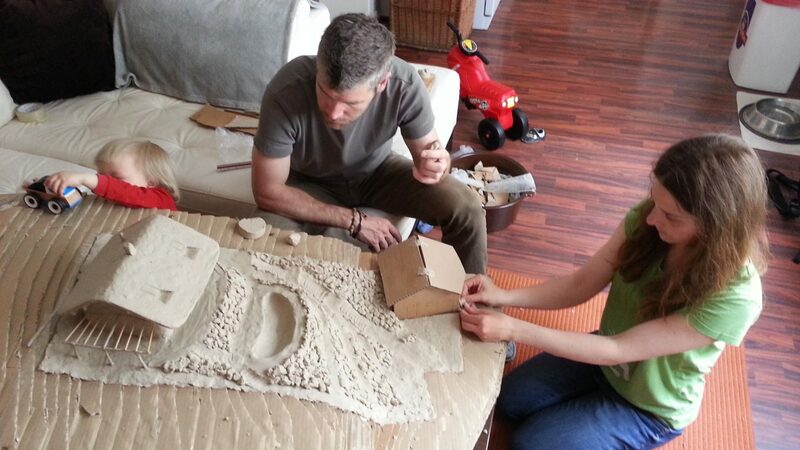 Joint work on the model of the house with the family members in 2015. Shaping the terrain around the house. 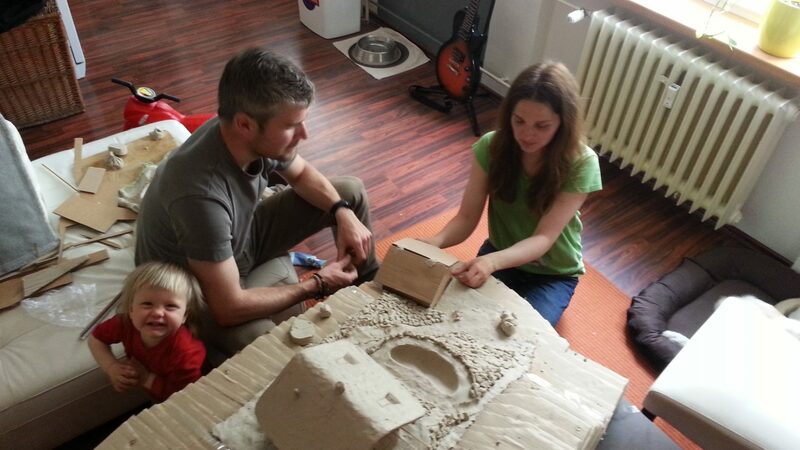 A model of the garden with the construction of a natural pond, outdoor staircase, and a workshop with a garage. Completed model of house and terrain. 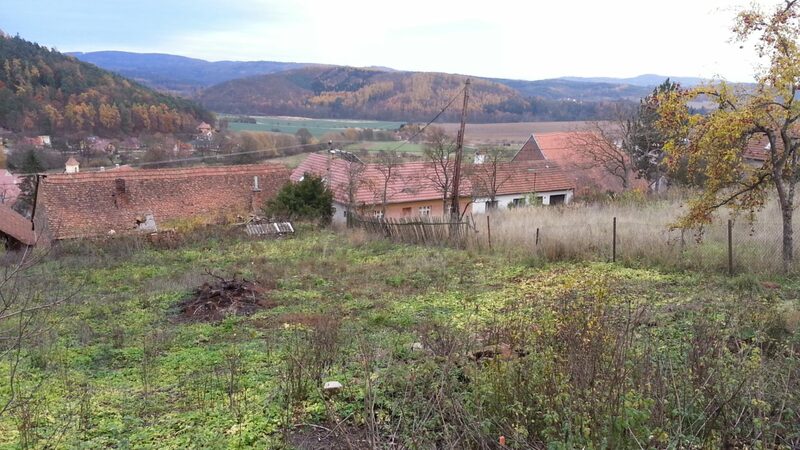 A view of the south where the pergola will be. 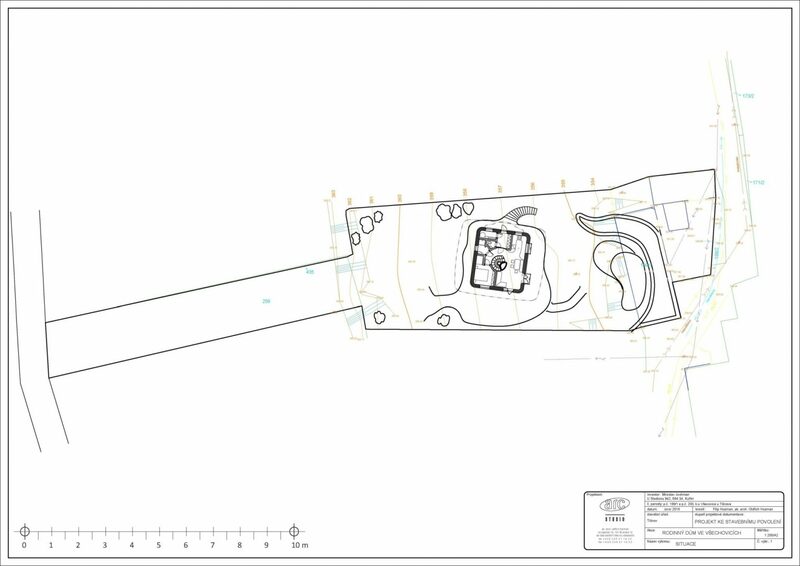 Situation of the building location on the land. 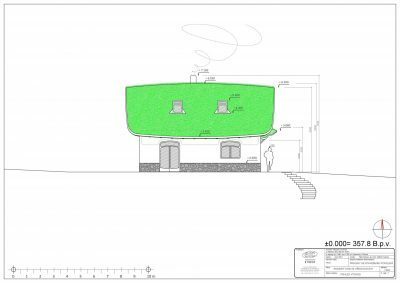 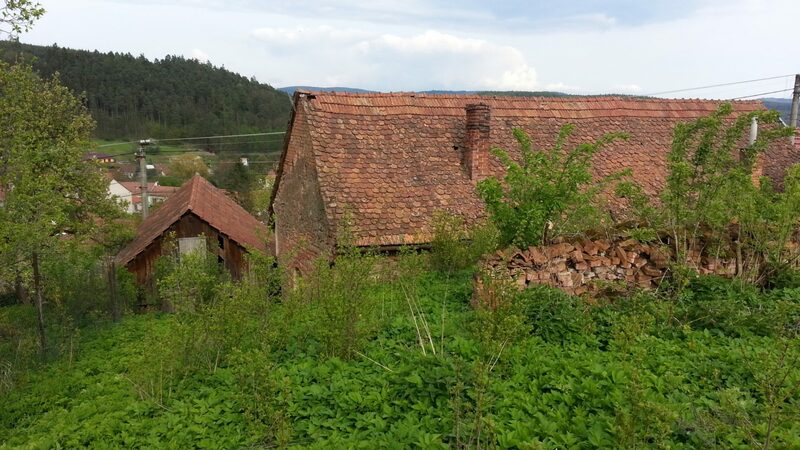 Existing old buildings at the bottom of the plot will be removed. 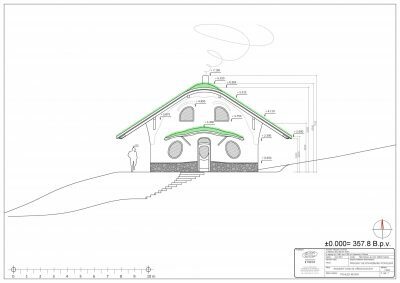 Stone from the walls will be used to build a new house and to build a workshop with a garage.